The announcement by Wal-Mart Stores Inc. (NYSE:WMT) that it will begin to carry a line of organic food products sent ripples through the food and grocery industries, as the decision by the nation’s largest retailer pointed to the growing influence of health-savvy consumers. But many observers expressed a healthy dose of skepticism when the news emerged, as experts and laypeople wondered just what organic means to the world’s biggest retailer. Organic products have become increasingly popular in recent years, as consumers have moved away from processed foods. Though the term “organic” has great cachet when attached to foods from broccoli to brown rice, there is a persistent sense of confusion about what it actually signifies. In an attempt to ensure that consumers know what they are getting when they purchase food items stamped with the “organic” label, the U.S. Department of Agriculture has established clear guidelines and regulations for farmers and food producers. The agency also bans organic-labeled products from containing genetically-modified “GMO” ingredients and outlines further requirements for specific categories like meat, produce and processed organic foods. But some leading food experts say such rules amount to little more than a false sense of security and legitimacy. Mischa Popoff, author of the book “Is It Organic?” and policy adviser to the Heartland Institute, says the USDA’s organic product regulations rely on farmers self-reporting their activities to the agency, which then reviews them under its annual inspection process, which is little more than a “scam” in his view. Furthermore, some leading physicians and nutritionists say the jury is still out about whether there are really major nutritional benefits in organic products. “More research is needed before it can be stated that organic foods provide more nutritional value,” Connie Diekman, a registered dietician and director of university nutrition at Washington University in St. Louis, told CNN. Nevertheless, Wal-Mart’s move to carry organic products is good for the overall organic movement in that it will bring organic-certified products to a large new base of consumers, but it may reflect little in the way of increased food safety or nutrition, according to experts familiar with the way foods earn the “organic” stamp. By electing to carry and promote products carrying the “organic” label, Wal-Mart is entering the somewhat murky waters that surround such foods. 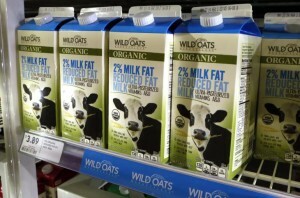 As the second-largest company on Fortune’s Global 500 list, with more than $469 billion in revenues and $17 billion in profits, the Bentonville, Ark.-based mega-retailer will likely face intense scrutiny as it rolls out its line of nearly 100 Wild Oats brand organic products, which it says will be sold far below standard organic food prices. Wild Oats spokesman Bill McCue expanded on those comments in an email to IBTimes. “Wild Oats Marketplace Organic™ labeled products adhere to USDA guidelines for Organic certification, the seal for which is clearly visible on the signature green packaging, and includes everything from canned vegetables (15 oz) at $.88 to a full range of spices such as paprika, curry powder and ground cinnamon (2 oz) starting at $2.48,” he wrote. 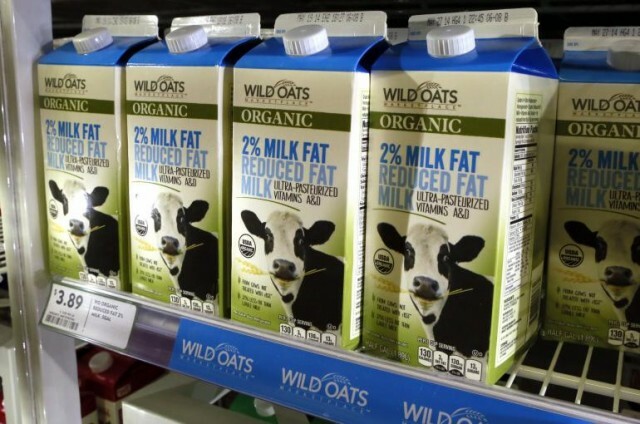 The philosophy behind Wild Oats also extends to its mission to reduce the price of organic products, according to a statement by Wild Oats Marketing CEO Tom Casey.